Interlock Rochester is a 501(c)3 non-profit Hackerspace whose goal is to provide a physical space and community to its members and the public at large. We provide workshops, classes, and a community of hackers with a wide range of interests: 3D Printing, information security, electronics, micro-controllers, laser cutting, radios, programming, networking, and much more that falls on the geek spectrum. Interlock began in October of 2009 when a small group of like-minded technologists saw the need for a common work and play space for Rochester’s vast number of talented engineers, designers, and artists. The group was officially incorporated on December 1st, 2009. To match the demand for more room and private offices, Interlock moved to a larger hackerspace in the same complex. Our doors are also open for you on other Tuesdays as well! 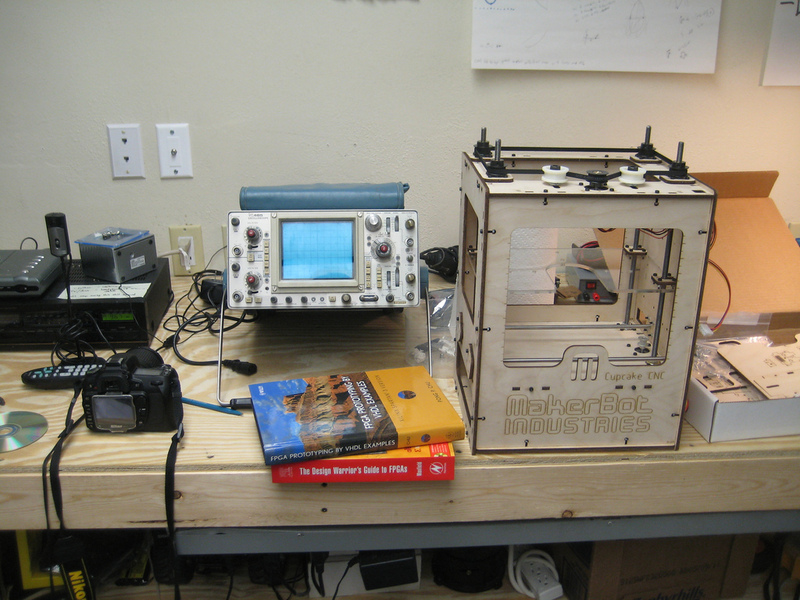 A hackerspace is a physical location for individuals to gather, collaborate, socialize, work on projects, and make things. 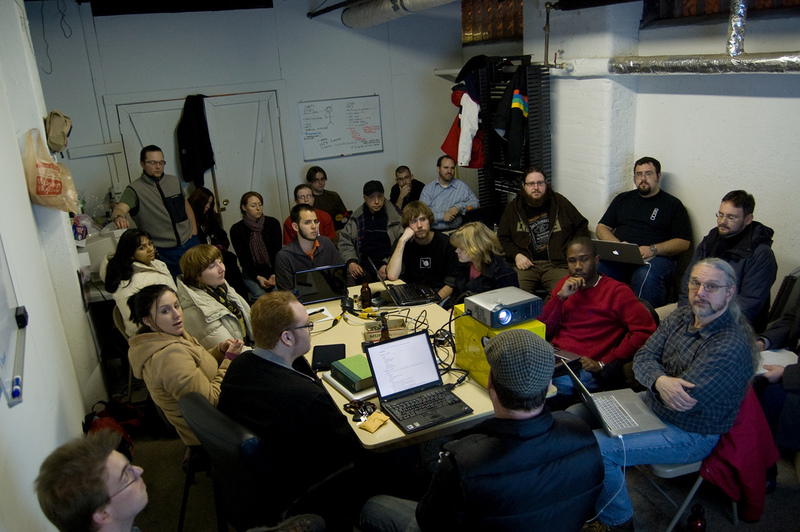 There are more than 350 hackerspaces worldwide that have registered with Hackerspaces.org, a lot of which have been established for several years, while some are still in the early planning stages. The members of Interlock Rochester have diverse backgrounds and interests, and there are no requirements for background knowledge. You do not need to be an expert in any given area of computing, science, mathematics, or art. We take pride in welcoming anyone into our community who has a genuine interest in learning, sharing, and collaborating on ideas and projects. Members have a very wide range of backgrounds including 3D Printing experts, electronics engineers, radio enthusiasts, programmers, information security boffins, network admins, classic arcade aficionados, and the list goes on. Members often bring their personal projects to space to share or ask for help on. You can see what projects we’re working on at our Wiki. Members often work in teams to complete their projects. If you have a project you’re looking for a partner in, stop by and meet the group. 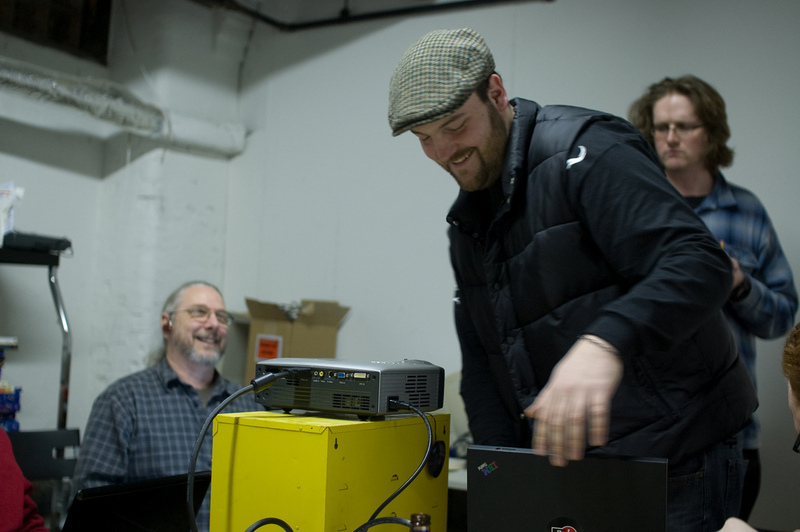 If the idea of a hackerspace interests you, we welcome you to become involved in our community. You do not have to pay dues to get involved with Interlock events and activities. If you're interested in supporting Interlock by being a member, Please attend our weekly Tuesday meeting and speak to one of our directors. You can also email them at [email protected] if you have any questions. If you are interested in joining, please join us at our Open Night, on the first Tuesday of each month, or come hang out with us on our IRC channel to get to know everyone. Perhaps you'd like to donate to us? We've set up an online form so that you can donate to us right now! We are a 501(c)3 non-profit organization, and we welcome additional donations on top of our members' payments, as it enables us to do more.